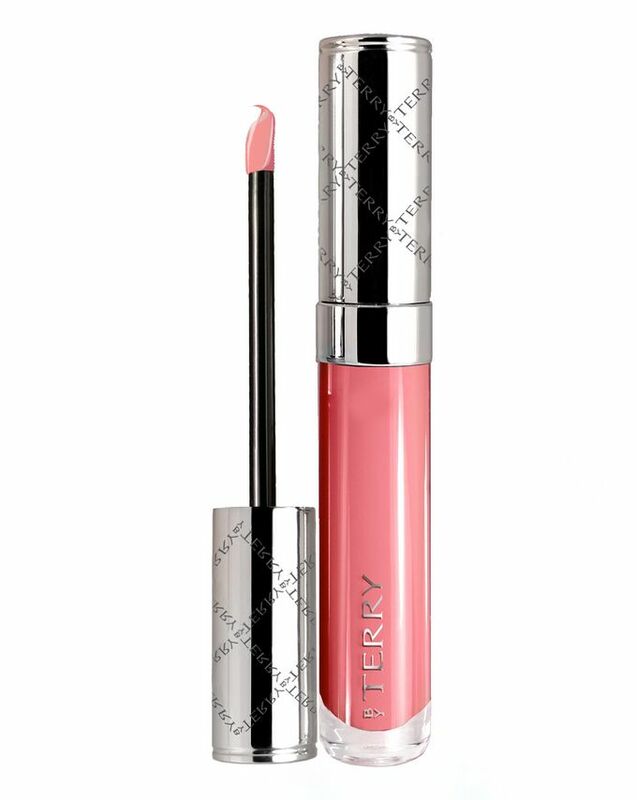 An innovative ‘hydra-lift’ lip lacquer, By Terry’s non-sticky Gloss Terrybly Shine promotes plumpness and elasticity while imparting a beautiful, juicy ‘kiss’ of colour. Available in 9 dazzling shades, this tinted treatment stars By Terry’s signature ‘lumilip’ technology – a cocktail of vegetable extract, fillers and ceramides which combine to create a ‘push up’, lip-smoothing effect – while light-reflective particles enhance the volumising benefits. For maximum longevity and lip-definition, line and prime first with Crayon Levres Terrybly, then apply a generous coating of gloss – either all over, or in the centre of the lower lip to create the illusion of fullness. Glide the applicator outwards, from the centre to the corners of the lips. Apply generously following the shape of contours for intensely rounded volume. Polybutene, Diethylhexyl 2, 6-Naphthalate, Microcrystalline Wax/Cera Microcristallina, Oleyl Alcohol, Bis-diglyceryl polyacyladipate-2, Polyethylene, Titanium Dioxide ((CI77891)), Silica, Silica Dimethyl Silylate, VP/Eicosene Copolymer, Mica, Calcium Aluminum Borosilicate, Ethylhexyl Methoxycinnamate, Octyldodecanol, Parfum/Fragrance, Alpha-Isomethyl Ionone, Citronellol, Geraniol, Lauryl PCA, Ethylhexyl Palmitate, Sorbitan Isostearate, Tin Oxide, Red 6 ((CI15850)), Portulaca Pilosa Extract, Saccharin, BHT, Trihydroxypalmitamidohydroxypropyl Myristyl Ether, Aqua/Water, Sucrose Cocoate, Alcohol, Butylene Glycol, Caprylyl Glycol, Palmitoyl Tripeptide-38, Phenoxyethanol, Sodium Hyaluronate. I have this in Gold Digger and I must say that it is, hands down, the absolute best lip gloss that I have ever had, in my entire life. Love love love it, don't understand why there aren't any other reviews about this amazing lip gloss! I have this and the Charlotte Tilbury one, plus one from MAC and Huda and I can safely say that this beats them all. It is perfect on its own for those natural makeup days or I wear mine on top of my Stroke of Beauty lipstick in Paged and it looks so amazing that I end up wearing this combo every day and leave my CT, MAC and Huda lipsticks/glosses behind. Cannot recommend it highly enough, unreal. Will never be without this now.